Some get it from Instagram, some from Facebook…today we’ve taken our inspiration the old fashioned way. 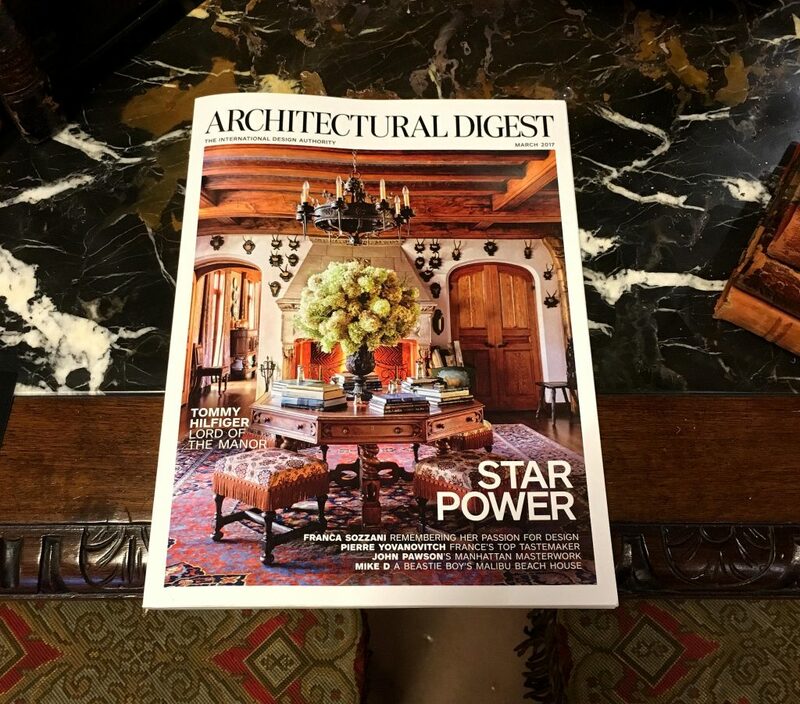 The magazine, Architectural Digest proves again and again to be at the forefront of design and cool. This months cover shows the interior of Tommy Hilfiger’s Connecticut home. Certainly not an advocate of minimalism and we love him for that! 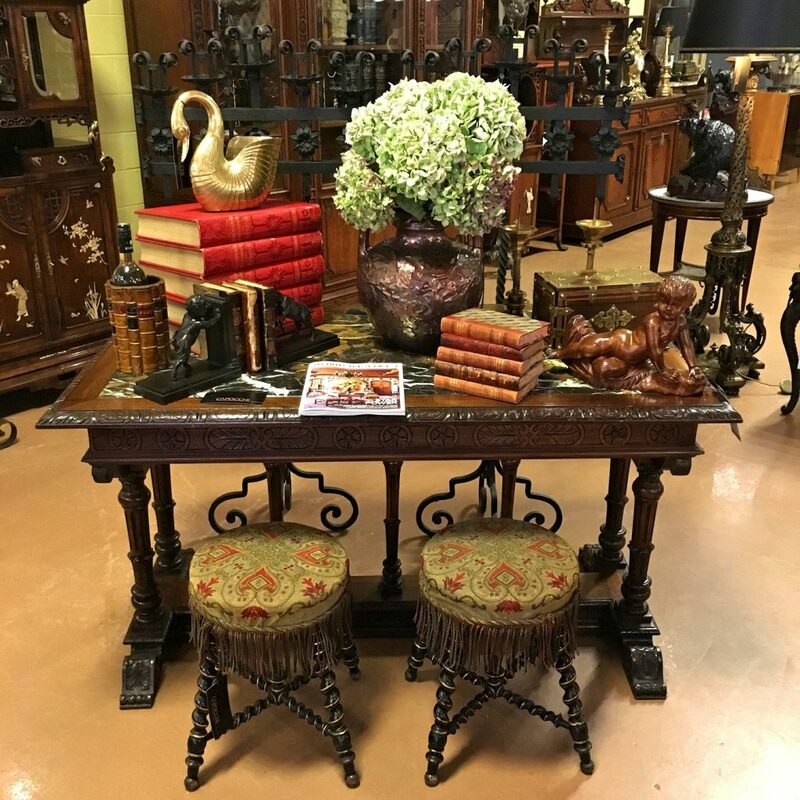 Our own collection offers similar items with fringed barley twist stools, carved centre table, Gothic wrought iron candelabra and chandelier.